The patent system has been getting a lot of heat lately, especially with the high-profile fight between Apple and Samsung. 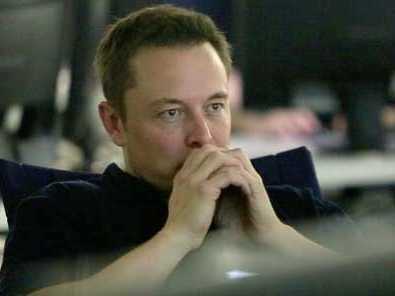 Superhero entrepreneur Elon Musk just avoids patents altogether with his high-tech space venture SpaceX. You would think you’d want to protect your intellectual property when you’re building complicated things like spaceships and innovating new technologies daily. There are plenty of big holes in patent law — especially international patent law. 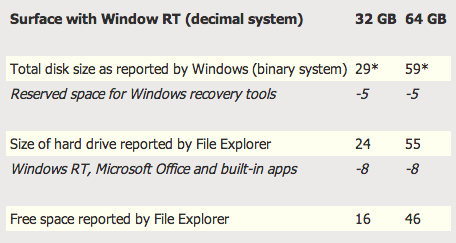 And in some cases, they’re totally bypassed anyway. Thus, Musk’s only option is to go with the trade secret route. That should end up working for a company like SpaceX, but as patent fights ramp up, something has to be done. The cheapest model of Microsoft’s new Surface tablet comes with 32 GB storage, twice that of the cheapest iPad. But here’s why: According to Microsoft, the Surface’s operating system takes up nearly half that space, leaving you with only 16 GB to play around with. In contrast, Apple’s iOS operating system only takes up about 1 GB of space. In a Reddit AMA session a few weeks ago, Microsoft’s Surface team said that the 32 GB model would have about 20 GB of free space. It looks like you actually get a bit less than that. So while 32 GB sounds like a good deal, keep in mind you’re only getting a bit more storage than you would get on a similarly-priced iPad. 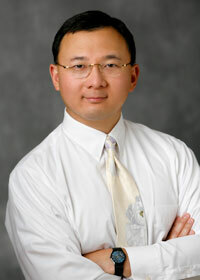 Three months can make all the difference, at least if you’re drafting estimates at Strategy Analytics. Now that we know 14 million iPads shipped in the third quarter, the analyst group believes that Apple’s tablet market share dropped from 68.3 percent in the spring to 56.7 percent in the summer. All of the shift is attributed to Android — researchers think that shipments of Google-based tablets surged from 7.3 million to 10.2 million, handing the platform 41 percent of an increasingly crowded space. It’s the “collective weight” of so many Android-reliant companies leaping into the market rather than any one of them pulling ahead, Strategy Analytics says. We wouldn’t be shocked if a few Kindle Fire HD sales played a part. More than a few wildcards still surround the figures and their long-term impact. First is that these are estimates, not concrete results: companies like Amazon steadfastly refuse to provide shipment numbers and leave most of the final tally beyond Apple to educated guesswork. It’s also an understatement to say that the market will change dramatically before 2012 is over. Between Windows 8‘s launch, possible Nexus 7 upgrades and two new iPads, there are a lot of pieces moving on the chessboard. Strategy Analytics claims Android reached 41 percent of tablets in Q3, iPad may have felt the heat originally appeared on Engadget on Thu, 25 Oct 2012 20:38:00 EDT. Please see our terms for use of feeds. Since the last flight of the Concorde in 2003, supersonic travel has been the province of jet fighter pilots and Felix Baumgartner. 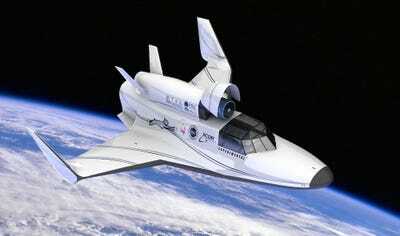 XCOR Aerospace wants to change that. Out of a group of outfits looking to bring back travel faster than the speed of sound, it has an especially intriguing idea: flying from one airport to another, via outer space. It’s no pipe dream: XCOR is busy building the Lynx, its suborbital commercial spacecraft, which will take off and land like a conventional plane, but offer a cruising speed of Mach 3.5, 62 miles above the ground. 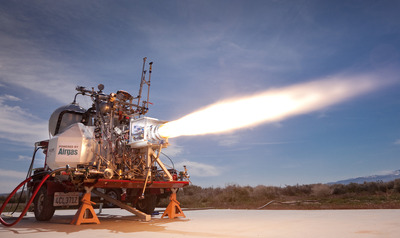 As it moves toward its first test flights in early 2013, XCOR has built a full-scale mockup of the Lynx, which it brought to last week’s International Symposium for Personal and Commercial Spaceflight, in New Mexico. The design is not final yet, COO Andrew Nelson says. But it’s the best look yet at the craft that could make point to point travel in space a reality, and send passengers from New York to Tokyo in an hour and a half. This is the rendering XCOR created of the Lynx. 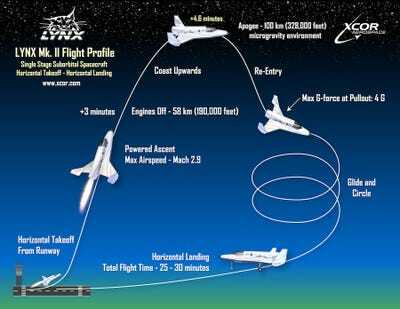 XCOR is already booking ‘up and down’ flights, for $95,000 a pop. Last week, it successfully fired the Lynx’s engine. It shouldn’t come as much of a surprise that more Americans than ever now own tablets, but if you’d ever wanted some quantifiable data to go along with that homespun wisdom, then the Pew Research Center is glad to help. According to its latest report, 22 percent of US adults now own a tablet of some form. While the iPad remains the dominant player in the space with a 52 percent market share, this figure starkly contrasts the 81 percent share that Pew reported in 2011. As you might expect, Android tablets have made significant inroads and now account for 48 percent of the overall tablet space. 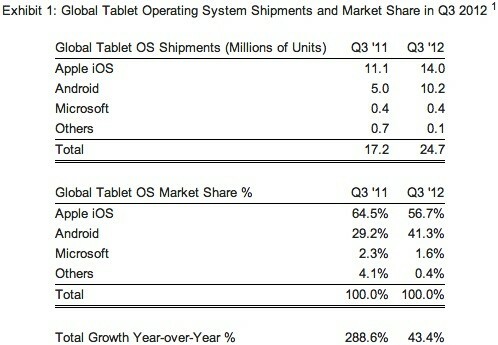 Leading the Android charge is the Kindle Fire, which alone accounts for 21 percent of all tablets sold. It’s worth pointing out that Pew’s survey was conducted before the release of either the Nexus 7 or the Kindle Fire HD, which means that even the most recent information is a bit behind the curve. You’ll find a press release after the break that provides a much broader take on Pew’s latest findings in the mobile space, but those who want to go straight to the meat should hit up the source link below. Pew Research finds 22 percent of adults in US own tablets, low-cost Android on the rise originally appeared on Engadget on Tue, 02 Oct 2012 17:33:00 EDT. Please see our terms for use of feeds. entrepreneurs/),the search giant’s new, global umbrella initiative of programs and resources supporting entrepreneurs and startups, is genuinely impressive in its breadth, depth and thoughtfulness. They’re kicking off the initiative with Google for Entrepreneurs Week with events in 26 cities in 13 countries around the world this week. They’ve already got entrepreneurial-support programs and partnerships set up in places as wide-ranging as Korea, Israel, South Africa, Bulgaria, London, Egypt, Australia and Kenya – not to mention activities in Portland, Austin, New Orleans, D.C., Atlanta and numerous other U.S. locations. I appreciate several things about what Google is doing with this effort, but let me highlight three here. First, they’re taking a holistic approach, providing people support and expertise, community – both virtual and in-person – online tools, and in some locales, even incubator space and mentorship. Second, they’re approaching entrepreneurship with an attitude of social responsibility, with special programs to assist minorities and women, and going out of their way to support activities in the developing world. And third, they’re being open and approachable, making sure it’s easy for individuals to tap into the available resources by simply perusing the clear online kiosks. It would have been easy for a company like Google to put up a bunch of web tools and re-label them as “…for entrepreneurs” – and then hold a few live sessions in Silicon Valley. But to put feet on the ground in Nairobi and Nashville and Ho Chi Mihh City and Haifa is a different matter entirely. Time will tell, but we may see these programs plant thousands of s! uccessfu l new seedlings. Both Apple and Google have reasons to break out the champagne in the wake of ComScore’s latest market share figures. Android is still sitting prettier than ever and just reached a new high of 52.2 percent for US smartphone share as of this past July, no doubt in part through at least a few Galaxy S III sales. Not that Apple is worrying about its US stake just yet, as the iPhone just passed the one-third mark to hit 33.4 percent — it gained share faster than Android in the space of the preceding three months. We don’t have much good news elsewhere, though, as the BlackBerry lost its hold on two-digit market share at the same time as Windows and Symbian continued to cede ground. As for the overall cellphone space? The familiar pecking order of Samsung, LG, Apple, Motorola and HTC remains intact, although only Apple and HTC gained any traction with their respective 16.3 percent and 6.4 percent slices of the pie. LG has dropped quickly enough that it’s now within Apple’s crosshairs at 18.4 percent. As significant as the shifts can be, we’re most interested in what happens two months down the line, when ComScore can report September share: a certain phone’s launch is likely to skew the numbers, regardless of what HTC and Moto rola bring to the table. Just be advised that US market share isn’t everything. ComScore: Android tops 52 percent of US smartphone share, iPhone cracks the 33 percent mark originally appeared on Engadget on Tue, 04 Sep 2012 22:47:00 EDT. Please see our terms for use of feeds. Intel has been staggering the rollout of its Ivy Bridge processors over the space of nearly half a year, starting with its higher-end quad-core chips; it’s finally time for the company to complete the story and ship some budget Core i3 desktop parts. The semiconductor giant is coy about the new roster at this stage, but it does promise both regular (s-series) and low-power (t-series) Core i3 chips at clock speeds between 2.8GHz and 3.4GHz. If the past is an indicator, the new components will be mostly or exclusively dual-core and lack extras like Hyperthreading — they will get Intel’s newer integrated graphics and other perks through the upgrade, however. 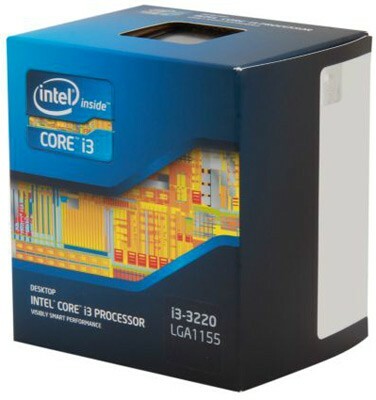 Bulk pricing and other details haven’t yet been aggregated in one place, although we’re seeing that even the faster 3.3GHz Core i3-3220 is selling at retail for $130. We wouldn’t expect anything from Intel’s new offerings to break the bank. Intel finishes crossing the Ivy Bridge with new desktop Core i3 models originally appeared on Engadget on Tue, 04 Sep 2012 16:57:00 EDT. Please see our terms for use of feeds. 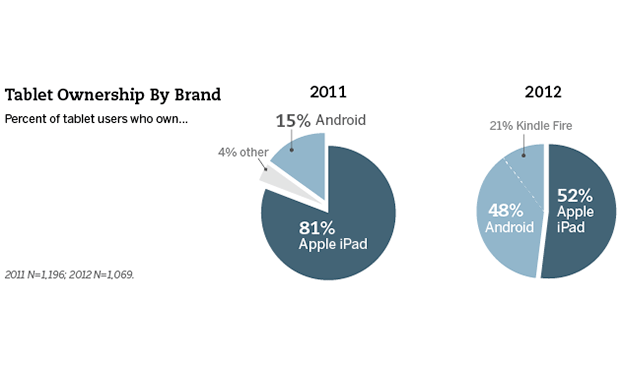 We’re starting to see a distinct shift in US smartphone market share that leaves Android having to share the spotlight. ComScore’s results for this past June have Google hitting a new high of 51.6 percent share, which still gives it something to crow about — that’s both a small increase over a month earlier and a return to the 51 percent mark. However, Android is still competing with an iOS platform that’s been growing at a healthy rate, reaching 32.4 percent of the American space. The fuel for both sides comes from an all too familiar decline in BlackBerry, Symbian and Windows share. Samsung is still in the top spot as far as manufacturers, although it’s shrinking where Apple and HTC are on the way up. We’ll be looking to see how much the Galaxy S III affects the numbers during the summer, but less patient observers can get the manufacturer results after the break and the full scoop on current market share at the source. ComScore: Android back above 51 percent of US share, iOS still growing briskly originally appeared on Engadget on Wed, 01 Aug 2012 12:41:00 EDT. Please see our terms for use of feeds.